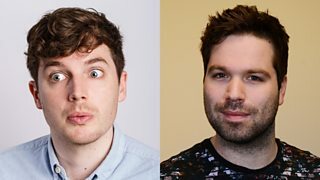 Find Me Funny is an exciting opportunity from BBC Cymru Wales to find the next generation of comedy writers and will result in up to three new comedy pilots for BBC One Wales and BBC iPlayer. 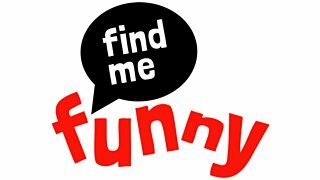 Following an open call via our website at the beginning of the year we’re delighted to announce the shortlisted writers for Find Me Funny. From just under 350 submissions (349 to be exact!) 8 scripts have been carefully chosen and are now being considered by a judging panel. Huge congratulations to those 8 shortlisted writers and a big thank you to everyone who submitted a script. It was a pleasure and a privilege to read your work. More information on the shortlisted writers and their scripts can be found below. AberNormal is a single camera sitcom set in the fictional welsh town of Pen-yr-Myrdd. Friends Barry, Dafydd, Fffion and Iestyn find themselves caught up in a supernatural threat from a mysterious woman. Little do they know that the fate of the world now rests, in their four rather inept pairs of hands. Robin spent his childhood in Lampeter before moving to Pembroke for his teenage years, where he completely failed to learn to surf. Instead he spent his time writing and filming sketches with his partner-in-puns James Farmer. His love for comedy continued to Swansea university where he helped set up a comedy club, performing sketches and stand-up in venues around the city before he and James took a critically un-acclaimed show to Edinburgh. Robin now works as a Senior Editor at the Box Plus where he has recently worked on sketch show 'Pop Sludge’. James grew up in Lampeter, where he met fellow idiot Robin Hayward. Bonded by a love of comedy, they began writing sketches together as teenagers, and that writing partnership has continued to this day. More recently, James works as a TV writer, and has written for shows such as The Last Leg, 8 Out Of 10 Cats and Frankie Boyle’s New World Order. 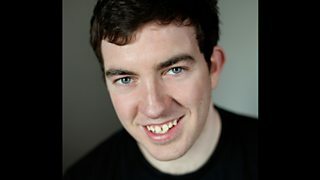 James was part of BBC Writersroom's Comedy Room development group in 2016. Serial internet dater, LIZ (32), tries to turn her luck around by contacting a group of single women on dating website, Click.com, in an attempt to make some new single friends and start meeting men in real life. 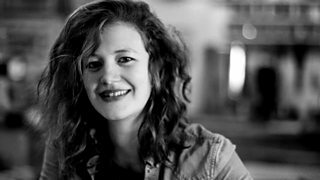 Hannah George is a comedy and children's writer. She has written for such shows as Wolfblood (CBBC), The House of Anubis (Nickelodeon), Trollied (Sky1) and The Lodge (Disney). Dig Deep is about Sisters, Buddug & Cerys, who run a charity shop in Colwyn Bay. Buddug's granddaughter helps the shop by dragging it into the internet age.They run out of donations so turn to dark methods to get their stock. 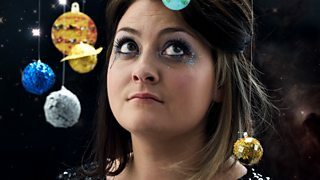 Kiri Pritchard-McLean is a stand-up comedian and writer from Anglesey. She is one quarter of the multi award-winning Gein’s Family Giftshop and one half of the hit podcast All Killa no Filla. Set in Cardiff, Donor is the story of mortal enemies who unwittingly become parents together through a historic sperm donation. 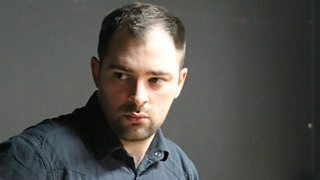 Matt lives in Cardiff and writes for theatre, television and radio. His work has won a Bruntwood Award and has been produced across multiple platforms and by companies such as: Channel 4, Radio 4, Royal Shakespeare Company, National Theatre, Paines Plough and the Hampstead Theatre. 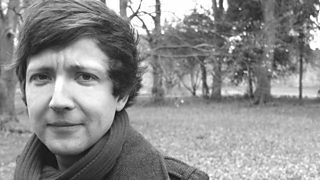 Matt is part of the BBC Welsh Voices group and is currently working as a dramaturg for this years Festival of Voice at the WMC and writing new plays for BBC Radio 4, Hampstead Theatre, West Yorkshire Playhouse and Sherman Theatre. His play Here I Belong is about to go back on tour with Pentabus Theatre Company and his play Eyam will receive its world premier at Shakespeare’s Globe this autumn. Halfway is a sitcom about the trials and tribulations of running a burger van in a lay by in the middle of Wales. Sion is a proud Welsh first language North Walian with a lifelong interest in film and television. He is always writing and coming up with new ideas. Sion has acted and performed stand-up comedy and has a love for sitcoms which is why he entered Find Me Funny. Robin is a stand-up comedian and writer hailing from Cardiff. His writing credits include topical comedies The News Quiz, The Now Show and Rich Hall’s US Election Breakdown, among others. 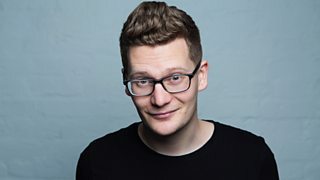 His debut hour stand-up show received rave reviews at the Edinburgh Festival in 2016, and was adapted into a one-off special for BBC Radio Wales last year. In The Other Team, recovering alcoholic Fiona finds love with fellow rugby widow Cerys: but how do they break it to their rugby obsessed husbands? Fflur Dafydd is an award winning novelist and screenwriter who writes in Welsh and English. She is the creator and writer of all 24 episodes of PARCH, the popular returning BAFTA Cymru nominated series for S4C, and her debut feature Y Llyfrgell/The Library Suicides, which she co-produced with multi award winning director Euros Lyn, earned her a place on the BIFA longlist for debut screenwriter and a BAFTA Cymru nomination for best writer. Her current project is '35 Awr' (35 hours), an eight part thriller which will be broadcast on S4C and the BBC iPlayer in November 2018. As an English teacher, Huw realized that there was a dearth of what he called daft books for daft daft boys, and as a result wrote Scrambled (Firefly Press 2016, shortlisted for the Heart of Hawick Children's Literature Prize 2017). His translation into Welsh comes out in August, and his next novel Sheared will be out in 2019, set in the worlds of rock music and competitive wool cropping. Unsustainable follows a minor, ramshackle department in Natural Resources Wales that is thrust into the spotlight when their tenacious manager Ava makes a bold announcement to the world. Lloyd is a Cardiff born writer with experience working in Wales’ booming television and film industry, primarily as a Production Secretary. Since graduating from Cardiff University with a degree in Journalism and Film, Lloyd has worked on many successful television productions and independent feature films. Lloyd continues to write content and provided editorial feedback on many projects for Cardiff Council’s Culture and Tourism department whilst developing his own writing through local courses and workshops. He is currently editing a feature film script he has written with the help of local writing organisations and experienced Script Editors. Keep up to date with events and opportunities at the BBC Writersroom. Get behind-the-scenes insights from writers and producers of BBC TV and radio programmes. 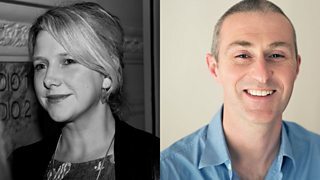 Get top tips on script-writing and follow the journeys of writers who have come through BBC Writersroom schemes and opportunities.